Simple 180gsm 100% cotton t-shirt. 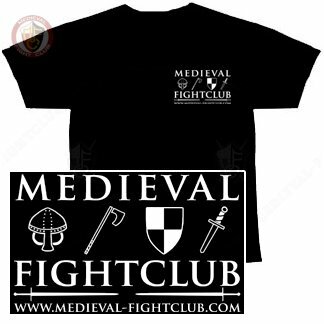 It is a quality durable shirt only available in black. A good MFC shirt. Comes in one size this shirt does, but it is a lucky fit for me. Happy to support MFC, keep up the good work.